1.1. These Terms & Conditions (“T&C”) specify how Majan Telecommunication L.L.C. (operating under the commercial brand name “Renna Mobile” – also “we”, ”us” and “our” in this document) will provide telecommunication services to “you”, our “Customer”. In addition, these Terms & Conditions describe other specific points we would like to highlight to you. 1.2. These Terms & Conditions are also available on our website www.rennamobile.com/tc. 2.1. We agree to supply you with the Services ordered through the Customer Registration Form (or ordered at any later point in time). By signing the form you accept that these Terms & Conditions will govern our relationship, including the provision of telecommunications services to you by Renna Mobile. 2.2. Under these Terms & Conditions we agree to provide our Services only to you. Therefore, you may not transfer our Services to anyone else without our prior written consent. The transfer of our Services to another person can be completed at any Renna Mobile shop or dealer, subject to Clause 4. 2.3. More details of our Services can be found at www.rennamobile.com or by dialing *181# or 1240 from your Renna Mobile number. 3.1. Relevant Service Charges apply from the moment the Services are provided to you. A current version of the our Service Charges is available on our website www.rennamobile.com or by calling our Customer Service on 1240 from your Renna Mobile number. 3.2. We reserve the right to revise existing Service Charges in accordance with Omani Laws and Regulations. We may also make changes to our Services (including introduction of new Services and withdrawal of existing Services). We will provide you with a minimum of 2 months’ notice of any change of Service and/or Charges, unless the change is a reduction in the Service Charge, which we may do with immediate effect. 4.1. In accordance with the Omani Regulations, we must verify the identity of all our customers. Accordingly, you must provide us with your correct and complete information when you sign up as Customer through the Customer Registration Form, and also keep us up-to-date if the information change at a later stage. 4.2. If you are an Omani national, you must provide us a copy of your original National ID, and if you are not, you must provide us a copy of your valid Omani Resident Card, Omani Drivers License or Passport. 4.3. Please note that according to Omani Regulations you may not have more than 10 mobile numbers registered under your name and ID. 5.1. We agree to keep your customer data and personal information confidential, and we will only make them available to third parties with your prior written consent. However, according to Regulations, we may disclose your customer data and personal information to law enforcement agencies or emergency services agencies, if we are requested to do so by those agencies, and only in accordance with the laws governing those agencies. 5.2. We may monitor your use of our Services and record calls made to Customer Service, for training, financial control, quality control and regulatory purposes, and we may contact you on an ad hoc or regular basis to inform you about our Services, Service Charges or any other information we deem important to you. 6.1. You agree to be responsible for all usage (including Calls, SMS, MMS, Data and other services) made from your Renna Mobile number, and you shall pay the corresponding Service Charges independent of who consumed the Services from your Renna Mobile number. In particular, if your SIM-card is lost or stolen, you agree to be responsible for the use and corresponding Service Charges until you have registered the SIM-card as lost with our Customer Service. (d) restrict freedom of religious belief or cause harm or nuisance to others, or make offensive, indecent or threatening calls, send unsolicited, offensive, indecent or threatening SMS, spam others or commit fraud or any other criminal offence. (c) intercept, receive, record any message belonging to others and which are carried through the telecommunications network. (f) remain responsible, in accordance with these Terms & Conditions, for all Renna Mobile SIM-cards registered under your name and ID, also if the SIM-card is used by someone else. 7.1. Roaming relies on the telecommunications systems provided by foreign networks over which Renna Mobile has no control. 7.2. When you use telecommunications services outside Oman, you are responsible for complying with all local laws and regulations governing such use. (b) we are required to do so by the TRA, Public Prosecutor or Court. 8.2. In line with Omani Regulations, we will Suspend our Services to you, if your Renna Mobile SIM-card is not recharged with new credit within six (6) months from your last Recharge (“Suspension Date”). 8.3. We will re-activate our Services to you, if you recharge your Renna Mobile SIM-card with credit within one (1) month from the Suspension Date. 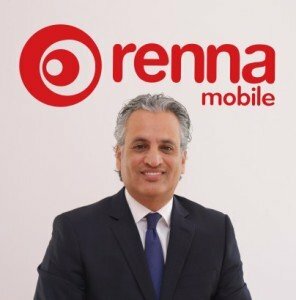 However, should you fail to do so, our Services to you will be Terminated one (1) month following the Suspension Date, and any remaining credit on your Renna Mobile SIM-card will be forfeited, your Renna Mobile number will be recycled for use by other customers and your SIM-card will be permanently Disconnected from the network. Notwithstanding Renna Mobile’s obligations as a licensee under the Law, the Regulations and its License Conditions, Renna Mobile is not liable to you or any other user of our Services for any loss of business, revenue, profits or anticipated savings, data being lost or corrupted, or any other loss including any consequential or indirect damages, suffered by you or any other user of our Services, however caused, including, but not limited to, non-availability of our Network or Services, loss, late receipt or non-readability of any message or communication, or for the content, accuracy or quality of information or resources made available, received or transmitted through the use of our Services. d.Send a letter to Renna Mobile / Majan Telecommunication LLC, Customer Service, P.O. Box 180, P.C. 102, Al Qurum, Oman. 3.This agreement is governed by the laws of Oman and any disputes shall be subject to the exclusive jurisdiction of the courts in Oman.